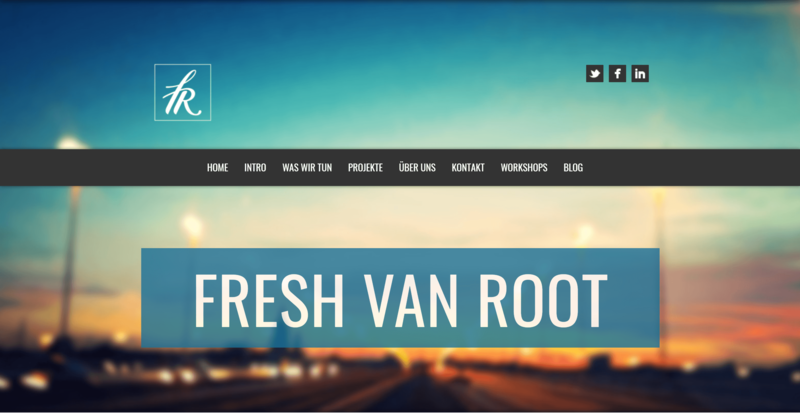 When I founded Fresh van Root in 2013 I sat down at Sektor5 and created a website in WordPress within two days. I received lots of great feedback back then and to be honest until recently I was very happy with the site. I haven’t felt the need to relaunch our site from a design perspective but more from a content point of view. 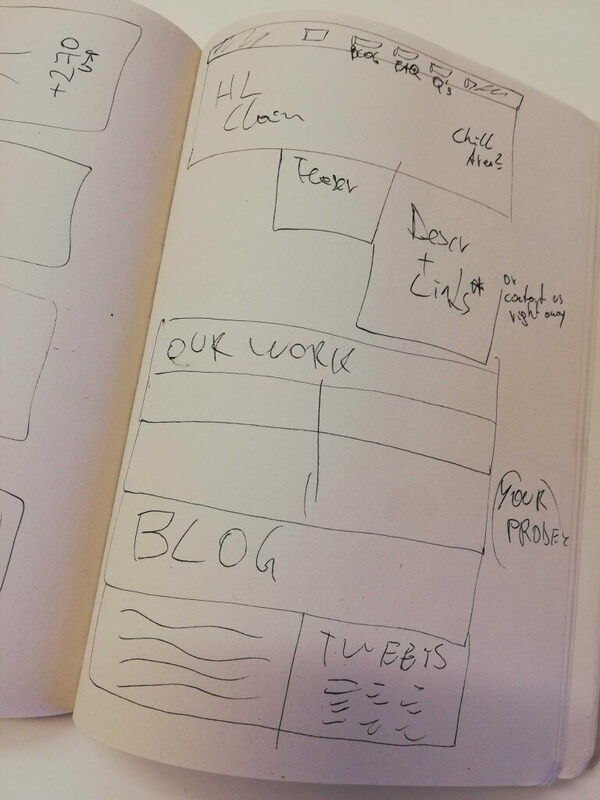 The content was German only, and the template did not allow the structure I had in mind for our new site. Things that were necessary to tell in 2013, i.e. “people recommend stuff on social media”, is no longer important to tell in 2019. The new site should be an evolvement from the old one, not a complete rebranding. Logo, colors, and fonts do not have to change or can be very similar. 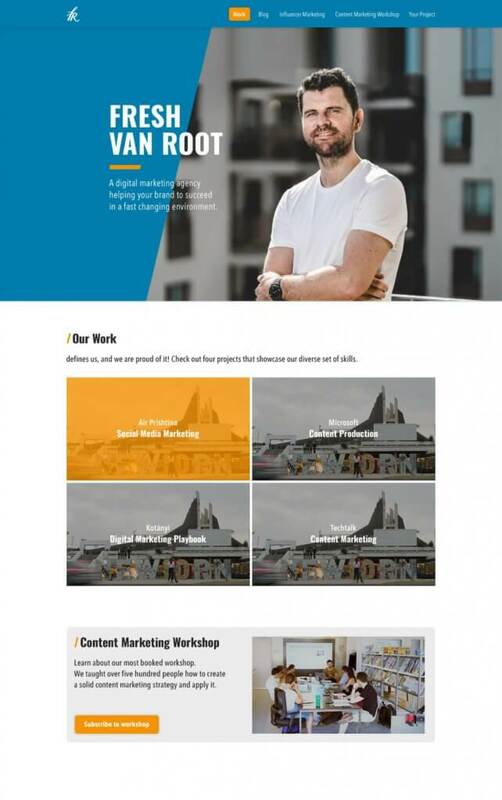 The short time to market back then was possible because our old site was based on a simple one-page template, and as Fresh van Root was newly founded there was not too much content to create in the first place. The services we offer have changed since founding. Instead of listing a box with “services offered” we want to site visitors to get to know us by actual work we have done. Our blogs are written in English, but our agency site and portfolio were in German, that needed to change to provide a better experience for international site visitors and international clients in the future. The WordPress template, which we have been very happy with was no longer developed and discontinued. That did not cause any problems but to be more flexible in the future we had to implement our new site in a new template. This site was running on a shared hosting plan at GoDaddy and I wanted to move away from there. We did this in two steps, first migrating our old site to Amazon Lightsail, gaining experience with it. Second, starting to work on the new site. The only thing left at GoDaddy now is a few domains. Of course with WordPress! 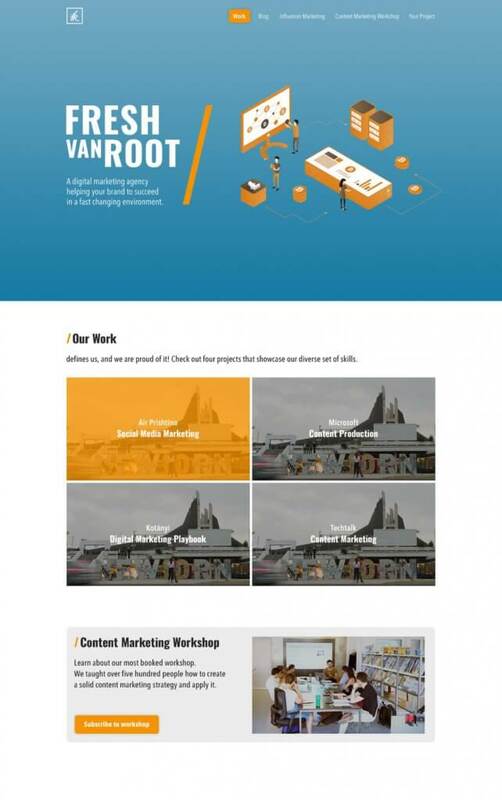 I played around with Webflow and other fancy website builders, but it was pretty clear early on that freshvanroot.com will run on WordPress, everything else would have caused headaches. In short, as you can see from this list, there is much more to it then just design – all tech behind our site changed too. Of course the project was kicked off on paper! Our new frontpage is structured in five sections. Less to scroll compared to our old one, with more links to pages and prominently featuring our blog. 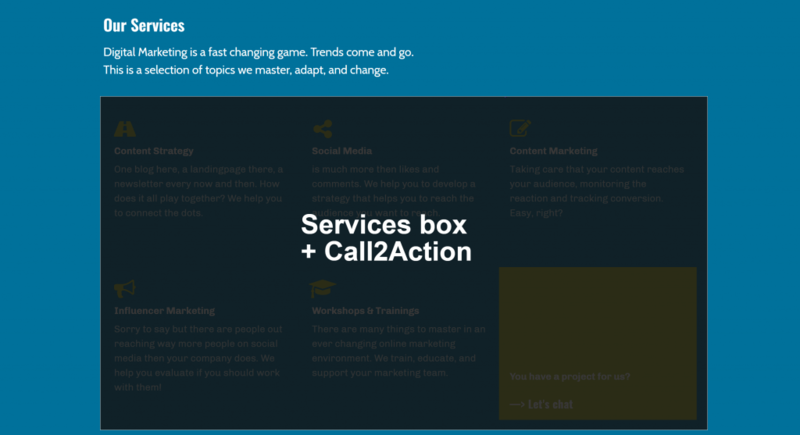 Split between a statement what Fresh van Root stands for (that wont change often), and an area that can easily be changed to be either used as a call2action area or show the latest blog. Instead of having over 15 projects shown, which was the case on our old site, we wanted to list four projects we want to be known for first. New items will be added throughout the year but on our frontpage are always just 4 of them. We need an area where we can promoto specific offers, like our content marketing workshop, or our eBook. This section may move further up. It shows the last four published blogs in chronological order. Why is this section moved to the bottom? We figured nobody reads this. The last element is guiding users to a page giving concrete examples of stuff we can help with. Not too much to say about this section. One line of text gives an idea what type of information to provide in the form. 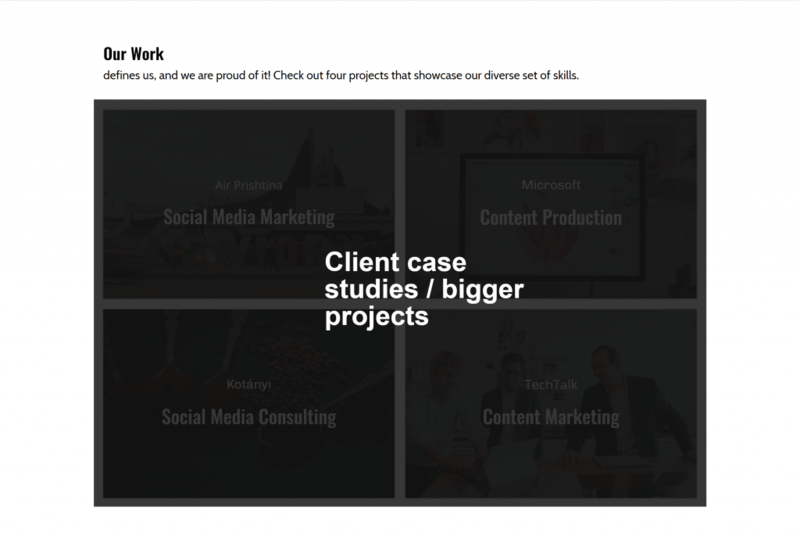 One WordPress install for both agency content and the blog. 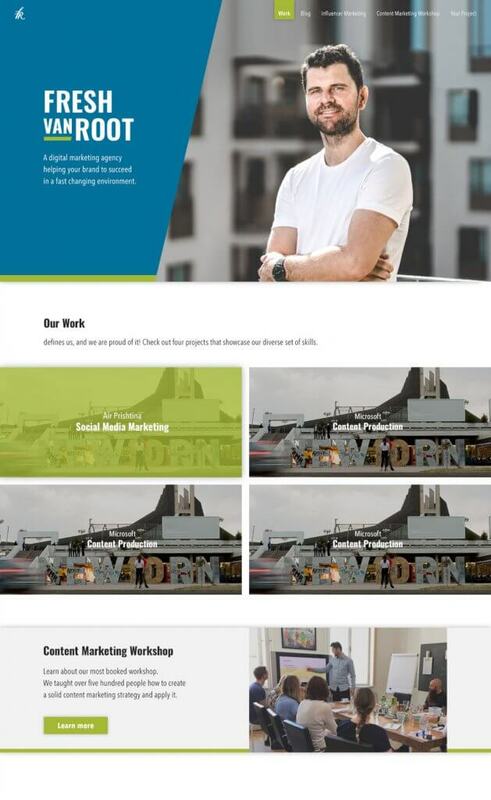 The frontpage and other more static pages (work, workshop offering, …) are created using Elementor Page Builder, based on Generate Press theme. As written above, the site is now hosted in the Amazon cloud. More details on all this will be shared in a separate blog. A website is never ready, so ours is no exception. 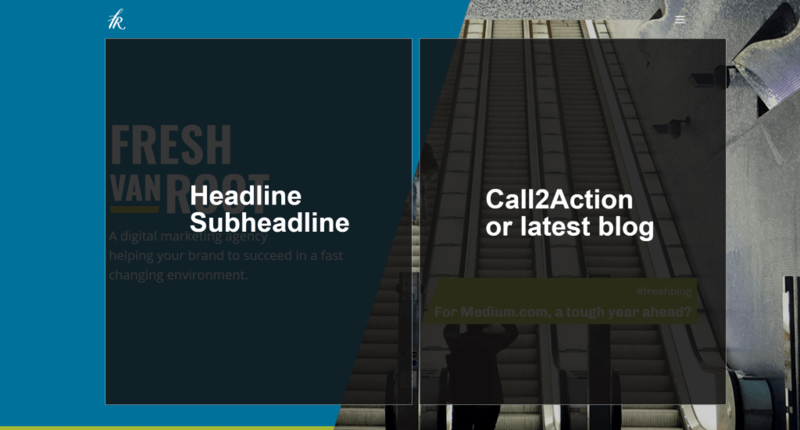 Performance and responsiveness could be better, the blog homepage and single post view need some polishing. The English texts are okay-ish for now, but the copy will improve. But all in all, I am very happy with the result, now on to more blogging! Whats your opinion about our new site? You can expect more blogs from us again in 2019. We have been super busy last year (new clients!) and blogging was not a big priority. That will change this year. Follow us on Twitter, Facebook or LinkedIn (or good old RSS, if you are that type of person) and don’t miss any posts. A big shout-out to Johannes from Zeitwesentech.com, our go-to wizard for all things code and infrastructure for this project.